The delegation led by the Head of the Federal Department of Economic Affairs, Education and Research of the Swiss Confederation, Federal Councillor Johann N. Schneider-Ammann arrived in Azerbaijan. They visited the plant of the Swiss SIKA Company for the production of raw materials for construction mixtures and finished products being under construction in the Sumgayit Chemical and Industrial Park, where he got acquainted with the progress of the implemented work. Addressing the event, Schneider-Ammann noted that he feels at home in Azerbaijan. “I am very pleased to visit the plant of the Swiss company in Azerbaijan. I feel at home. Like other Swiss companies, SIKA is one of the leaders in its field. SIKA has been operating in Azerbaijan since 2005, but the creation of a production site is a very important event. 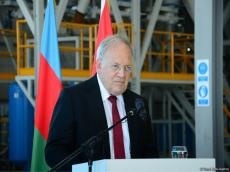 I am very grateful to the leaders of Azerbaijan for creating such favorable conditions for Swiss investors,” Schneider-Ammann said. In turn, Azerbaijani Economy Minister Shahin Mustafayev, who participated in the event, noted that $250 billion of investments have been made in the economy of Azerbaijan to date, about half of which are foreign investments. Mustafayev said this fact proves that a favorable investment environment has been created in Azerbaijan, which is emphasized by the reports of international organizations. 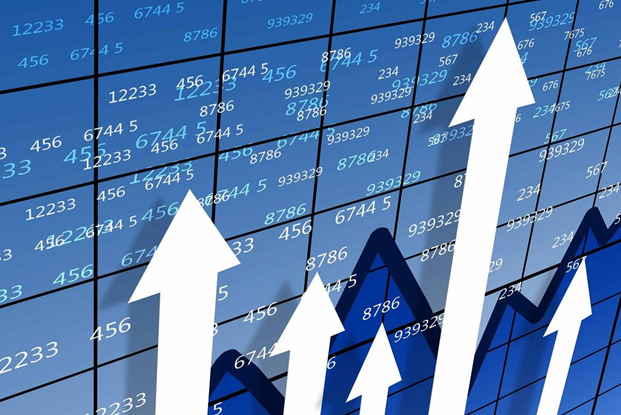 “The Azerbaijani economy ranked 35th in the competitiveness ranking of the Davos Economic Forum. And the country ranked 57th in the World Bank's Doing Business report,” the minister said. Talking about the SIKA plant, the minister stressed that there were no any conditions in that territory five years ago. “There were wastes left by old Soviet factories on the territory, and it resembled a landfill of hazardous wastes. Around 500 hectares of land have been cleared by using public investment, and we have opened the doors to residents of the industrial park. The establishment of such plants is now possible thanks to the financial and political stability in the country,” Mustafayev said, adding that $ 3.5 million were invested in the establishment of the SIKA plant, and it will allow for creating 60 new jobs. SIKA LLC, a division of the Swiss SIKA AG group, launched the factory for manufacturing the concrete mixers in Baku as early as in 2005. The investments made for the establishment of the factory, located on the avenue named after Heydar Aliyev, amounted to $1 million. Switzerland recognized Azerbaijan as an independent state in December 1991 and a year later the two states established diplomatic relations. Relations between the two sides are characterized by open dialogue and are based on several key areas including energy policy, cooperation in the international financial institutions and development cooperation. Azerbaijan is Switzerland’s main trading partner in the South Caucasus. Switzerland mainly exports jewellery products (precious stones, precious metals), machinery, watches, and pharmaceuticals to Azerbaijan. Several Swiss companies are implementing their activities in Azerbaijan. A Swiss company is involved in the construction of the Trans Adriatic Pipeline (TAP), a project that will transport Azerbaijani natural gas to Italy via Georgia, Turkey, Greece and Albania by the end of the decade. The Azerbaijani state-owned energy company SOCAR operates in Switzerland. In 2012, SOCAR Energy took over the ESSO Switzerland network of 160 petrol stations, which it operates under the SOCAR brand. The trade turnover between the countries amounted to $240 million in first five months of the year.